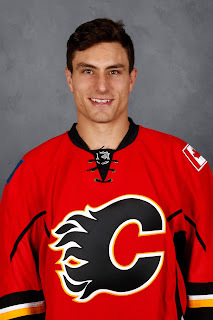 They say actions speak louder than words and for Flames rookie Garnet Hathaway, it's his hard-nosed style of play that does most of the talking. Or, make that jabbering. Or jawing. Or taunting. "He's not trash talking as much as people would think, he gets under the other team's skin in other ways," insists linemate Matt Stajan. "He limits space, he's always in the middle of every scrum, he's quick on the forecheck. Guys like that, they just get under your skin and it's noticeable. When he's out there, other teams are getting frustrated." The NHL now tracks a statistic called 'Minor Pen Dr/60'. It is the number of minor penalties taken against a player, divided by their ice time, multiplied by 60 to represent an entire game. Ivy League-educated at Brown University. Friendly and personable off the ice. It's hard to imagine when you see Hathaway out there getting the opposition so riled up that it is the same guy. "We all have our in-game face," says the 25-year-old right winger with a wry smile. "A big part of my game is trying to agitate guys and get them off their game and all the time, just trying to keep my feet moving. They took a lot of the holding and the hooking out of the game so that's one way you can draw penalties." He brings that same approach every time he steps on the ice no matter who he is up against. The name bar on the back of the jersey is inconsequential. "He's another guy that's just in the game. He plays every shift like it's his last shift," says coach Glen Gulutzan. "He brings energy to our group and you can feel that energy in our locker room. I think even fans can feel that energy outside in watching the games. "He gives you 100 percent every time he's on the ice. He doesn't let anybody off the hook. He finishes all of his checks. He's not afraid to walk the line as far as playing in your face and bending the rules and he makes other guys angry at him." Contributions from a fourth line are often overlooked in a world where game highlights focus on goals and the existence of hockey pools send fans scouring through scoring summaries. But they are not underappreciated behind the Flames dressing room doors. "There are a lot of aspects of this game that are not tracked by stats," Hathaway says. "Stuff that people inside this locker room will notice with guys in this room. Little attributes that are small details but that's how you win games." 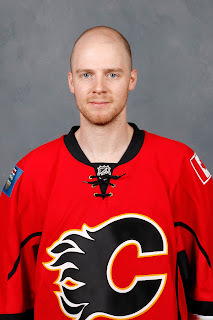 For a long time, the fourth line was comprised of Stajan, Hathaway and Micheal Ferland. But with the return of Lance Bouma and most recently, the broken finger Troy Brouwer had operated on Tuesday, it's now Bouma on that wing with Ferland promoted to the top nine. "We all have our checklist. I try to get on the body as much as I can. I take pride in my puck possession or puck control and no turnovers when you're getting to the blueline," says Hathaway. "I also try to get to the net front a lot and that's another thing that's not really counted. If you watch the video, a lot of guys on this team take a beating standing in front of the net. They may not get a point from it, but we may score with their screen." The fourth line has enjoyed modest offensive success this year too. 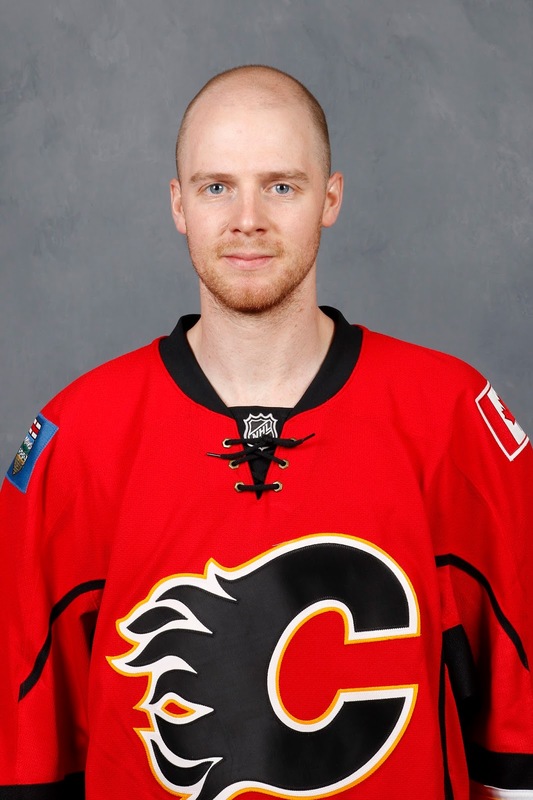 Stajan, who is the lynchpin at centre on that unit, already has 14 points and the season is not yet half-over. This is after the two previous years in which he contributed just 17 points apiece. "I've pretty much been on the fourth line the last three years and I feel this year, we have been more effective. 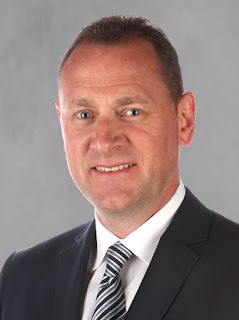 Creating more and just providing energy for our club," Stajan says. "We're given a lot more responsibility with D-zone draws and we have the confidence of the coaching staff and we want to really do a good job as we know it's important. 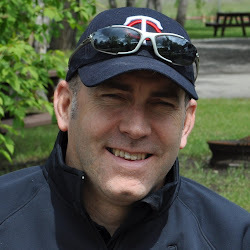 If you look at the good teams in the league, the fourth line has got to be effective." The external accolades may not be that plentiful when you're cast in a defensive role and only playing 8-12 minutes per night, but that group can be a key part of the puzzle. "The guys that are on the penalty kill and play more of a defensive role, you get less of the glory when you look at the stats, but within the team, you know what everybody's job is and our line and Backlund's line take a bulk of the D-zone draws and you take pride in that," says Stajan. While the fourth line may not produce that much offence themselves, they can still very much contribute to that part of the game indirectly. "You try and put the next line in a good position to score," Stajan says. "If we start in our end, we want to finish that shift in the other end so we can get Johnny (Gaudreau) out there in an offensive situation. That's how a team works, you build towards scoring goals and that's why we've been effective." The value of Hathaway's NHL-best ability to return to the bench as his team heads onto the man advantage is accentuated these days with Calgary owning the best power play in the league since mid-November. Gulutzan suggests it's his Ivy League education showing through. "They've got these high IQs and they're very street smart, they're very intelligent and they play the game with such passion. They're willing to fight and they're willing to do anything," says Calgary's coach. "Hath doesn't say much, it's not from verbal, it's all about his actions and that's the best type of player. Everyone on the other team knows when he's out there." So do fans these days because it seems to be as simple as they win when he's in. 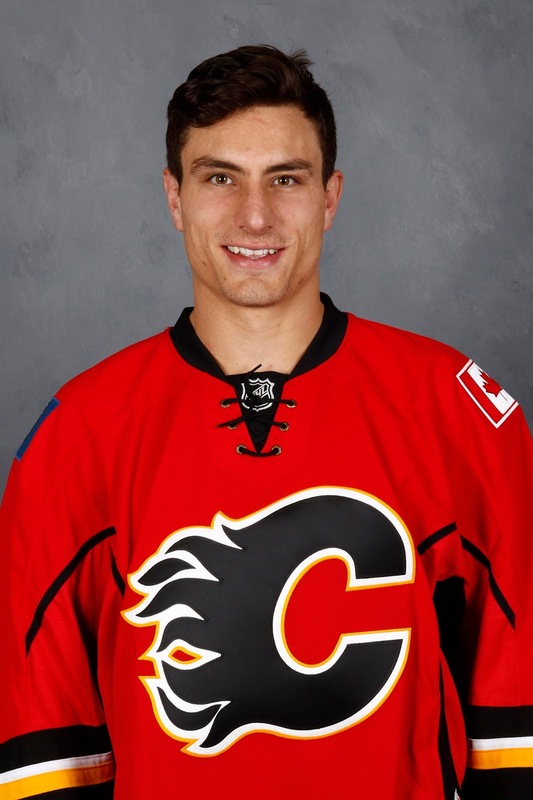 Calgary has won nine consecutive games with Hathaway in uniform. They've lost three in a row with him as a scratch. Grey Cup Sunday over a month ago was the last time the Flames lost a game in which Hathaway was in the line-up. "Everyone on this team has their role and teams that build in those individual roles are successful," says Hathaway. "Plus it always helps when we win. Obviously, that's the biggest part." Legitimately holding down a wild card spot in the Western Conference now and no longer in such a position only because of an inflated amount of games played, it's taken a total team effort to get there and that includes not just the top nine up front, but the entire dozen.